Economist Richard Geddes on roads, highways and water systems - March 18 and 21, Sacramento and Los Angeles, Calif.
Inclusive Design Research with professor David Feathers - March 19, Stony Point, N.Y.
CALS 7th Annual NYS Pride of New York reception and dinner - March 26, Schenectady, N.Y.
Video looks at Cornell scientists' experiments with light manipulation that have led to a breakthrough in potential time/space cloaking. 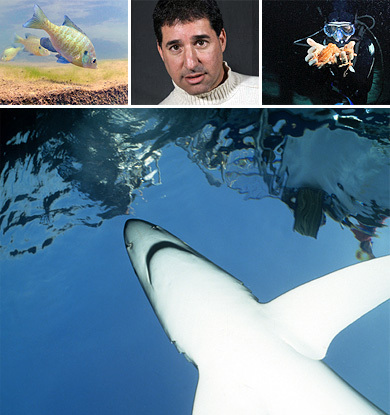 Noted aquatic filmmaker and alumnus David O. Brown's latest project explores the depths of the Finger Lakes and local streams for "Baseline," which catalogs the health and biodiversity of the region's waterways. Two alumni are spearheading a project to erect a bronze statue to commemorate the bear cubs who served as Cornell's original mascot. More Cornellians shared their Cornell love stories in February for Valentine's Day. 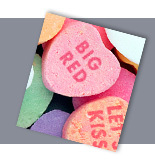 Read tales of Big Red love -- or you can still submit your own. The experimental low-temperature physicist and influential administrator died Feb. 19. The artificial ear - created using 3-D printing and injectable molds - acts like a natural ear. Cancer researcher is among inaugural winners of world's top prize for life science research. The tech campus has announced its first student fellowship; gift is from a New York couple. The student-run independent radio station will have a bigger, more functional home this fall. Alumni and friends celebrated Yang at the group's 22nd annual banquet in Manhattan. Five-year grant was awarded to Michael J. Scanlon, Cornell professor of plant biology. Cornell scholars spoke at a Tompkins County Public Library event Feb. 16. The College of Agriculture and Life Sciences launched a yearlong celebration Feb. 15. Latest energy inventory honors a commitment to transparency and carbon footprint reduction.